Durian may be a favorite of many Singaporeans, but for some, the smell of it is enough to scare them off. Its taste might be heavenly, but its pungent aroma could be quite unbearable. 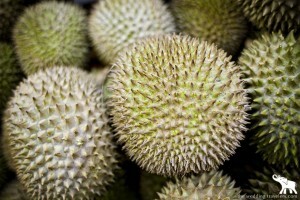 So, what do you do to convert those “Durian phobic” into Durian lovers? Well give them one of these treats and they’ll surely fall head-over-heels in love with the King of fruits. Now, not everyone might have Durian as a choice for dessert, but is there anyone who doesn’t like chocolate? Concealing Durian under the delightful taste of chocolate is one sure-fire way to get everyone eating this strong-smelling fruit and Big O Cafe & Restaurant has undoubtedly perfected that technique. Spike “D,” a bestseller, is a Durian cake made from the best fresh Durians. 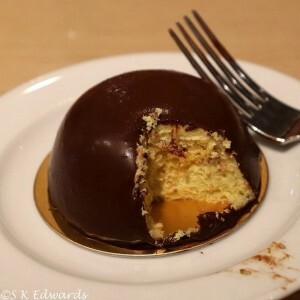 This soft, Durian-laden sponge cake is then smothered with a rich coating of chocolate fudge. If you don’t believe how delicious this treat is, try it for yourself at 290, Orchard Road, #B1-08, Paragon, Singapore 238859. Everyone screams for ice cream, right? Udders Ice cream, located at 6 outlets, one of which is at Upper Thomson, offers a refreshing take on Durian Ice Cream. They use the Mao Shan Wang variant which is widely known in Singapore. With their finesse for creating unique, high-quality ice creams, they’ve come up with this rich flavor that’s complex with sweet and bitter tastes truly characteristic of the Mao Shan Wang Durian. You couldn’t get any closer to the real thing than Dessert Bowl’s Durian Mousse. 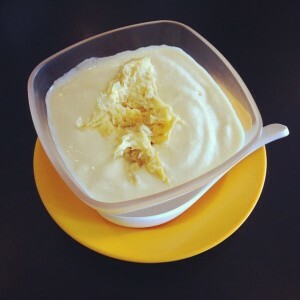 Their formula is simple: Durian blended in their signature smooth, sweet cream. And to top it all off, a good portion of the fresh fruit is placed in the middle of this sweet concoction. As for the taste, let’s just say that it is going to make you crave for another serving. Although the smell of their Durian Mousse could still be quite strong for your liking, don’t let this prevent you from trying out this dessert, because in the end enduring the smell is worth it. To see for yourself what others have already been raving about, head over to this bustling, little dessert shop at 80A Serangoon Garden Way.